My nearest supermarket has been selling Muller Rice Puddings for half price, and consequently I've had (at least) one per day since Friday. But one night, I found myself puddingless and craving like crazy. With the shops already shut and my stomach refusing to shush, I decided to have a look through mum's new cookbook and found myself a recipe I could twist to my satisfaction. I thought the next best thing to my Muller Rice fix would be a Grilled Berry Dessert. I've never grilled anything other than hot cross buns before, so berries seemed a little odd to me. 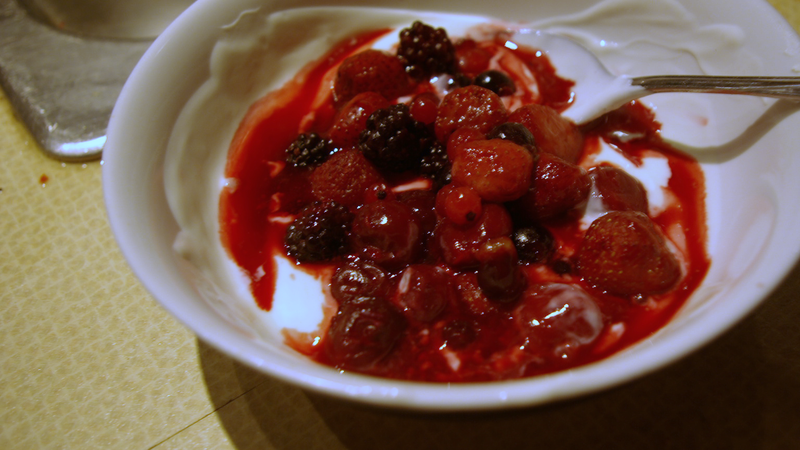 I took a cup of frozen berries and sprinkled over just a dash of lemon juice. 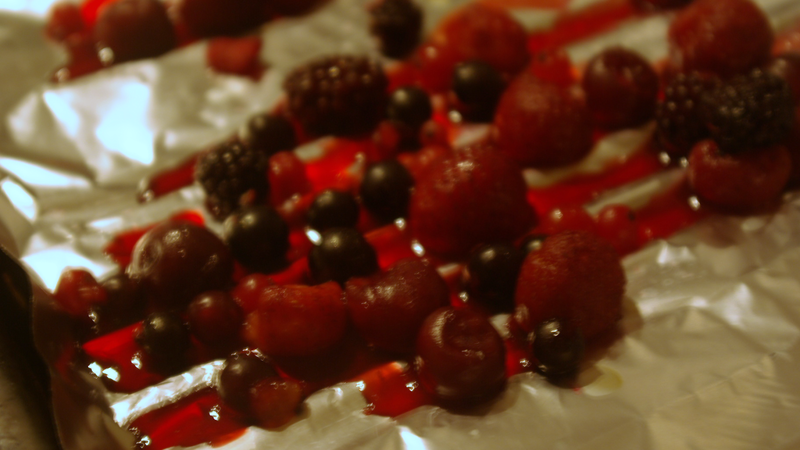 Popping them on tin foil in a baking tray, I grilled them on high- the purpose of this is to release all the juice- so the berries are finished grilling once it looks like a forest fruit massacre. 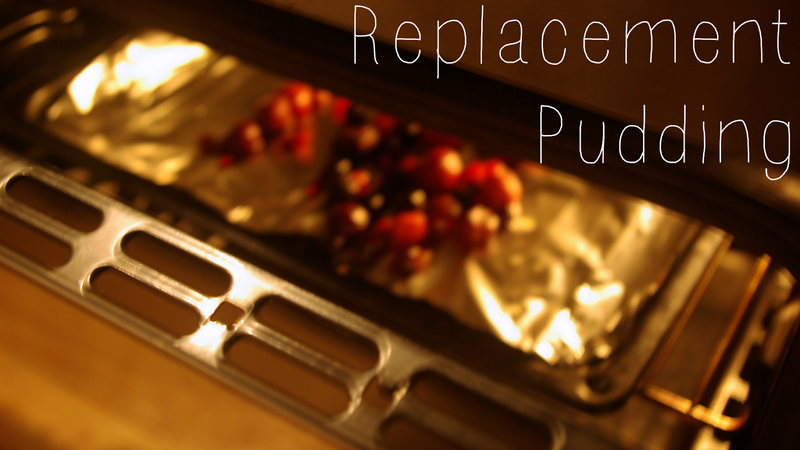 The original recipe had the juices with vanilla custard, but I decided to go for a slightly healthier option. Three tablespoons of low-fat, natural yogurt mixed with a capful of vanilla essence plus a teaspoon of natural honey made for the perfect sauce for me. 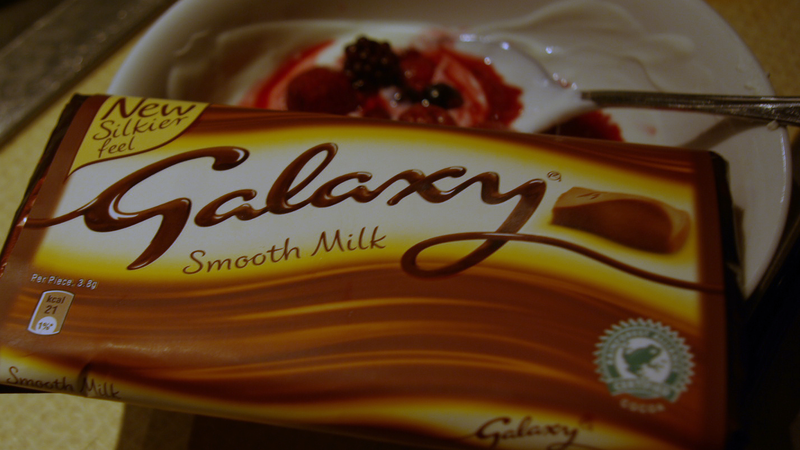 The health kick went out the window once I decided that it'd go down a treat with tiny chopped pieces of one row of Galaxy chocolate sprinkled over the top. I can't help being such a chocoholic! 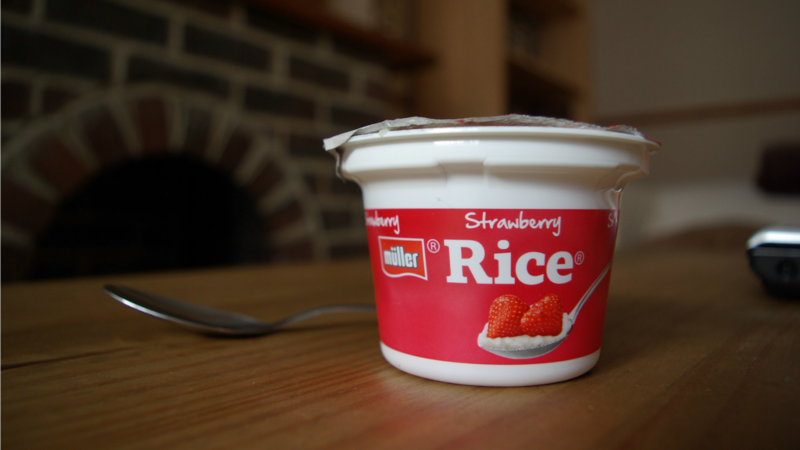 As amazing and delicious as it tasted, Muller Rice will continue to be my baby. Okay, okay, I was just pretty proud of how this picture came out and just had to include it. Photography newbie over here, guys. P.S. This coming from my mum's new cookbook, added to the fact that she's been giving me mini cooking tutorials every so often, lightbulb-above-head created the idea of having a little 'Mumma Teaches Me Cooking' feature on this blog. More on that next time, but what do you think- good idea? Your Grilled Berry Dessert looks delicious! I definitely think adding some chocolate is a good choice. If you're being healthy with everything else, then why not? It was a tasty choice!